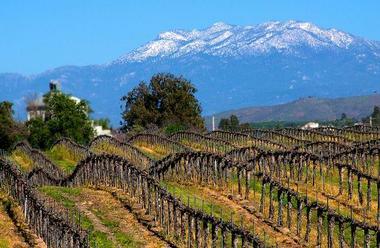 Nestled among rolling hills and beautiful vineyards, Temecula Valley is Southern California's wine country. There are many great things to see and do to keep you busy in addition to wine tours and tastings. Adrenaline seekers can get a bird's eye perspective of the valley from inside a hot air balloon, and golf enthusiasts have the opportunity to enjoy a game with a view on one of the valley's gorgeous courses. Visitors can also take advantage of the world class shopping in the area, have a relaxing day at one of the many spas, and dine at some of the best restaurants in California. The California Railroad made its first journey through the Temecula valley in 1882, and it didn't take long after that for Old Town Temecula to spring up around the train tracks. Today, the railroad is no longer running, but the Old Town remains and still has a number of whimsical, historical features that make it a great place to visit. It's home to an astonishing array of art galleries, specialty boutiques, and antique stores, and it also features a wide variety of independent restaurants. Events are held in the Old Town all throughout the year, some of which include art festivals, parades, and live music. The Temecula Valley Museum has exhibits that explore the most important historical moments of Temecula from its discovery to the modern day. 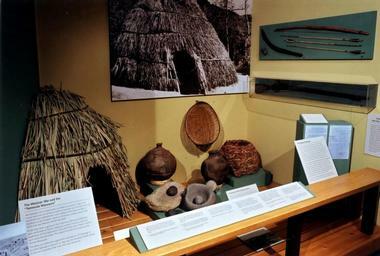 The museum features three permanent exhibits, and these displays include antique farming equipment, handcrafted artifacts, photographs, and old documents. The museum is family friendly; an interactive discovery area is available for children to play in, and picnic facilities and a playground can be found onsite. The museum offers weekly walking tours of Old Town Temecula for a small fee, and booking in advance is recommended in order for guests to secure themselves a spot on the tour. The Old Town Temecula Certified Farmers’ Market is one of the most popular weekend events in the Temecula Valley. Visitors can browse a selection of works from local artists and crafters, pick up lunch from one of the many international food stalls, and check out a unique variety of beautiful plants and flowers. 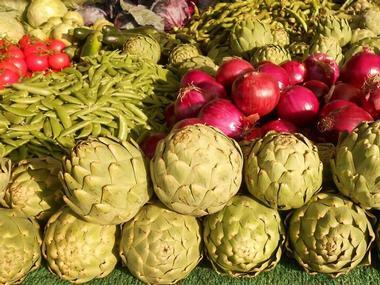 Fresh fruits and vegetables from more than 40 California-certified farmers are available, and there is a wide range of options that includes both organic and conventionally grown produce. The market takes place every Saturday morning rain or shine, and some street parking is available. Founded in 2002, Leoness Cellars is perched on a hilltop overlooking their vineyard's 20 acres of Cabernet Sauvignon grapes. The stunning vista is one of the best views in the area, and it makes Leoness a popular wedding venue as well as a great place for family photos. The winery offers a variety of wine tours, which they recommend booking in advance, as well as corporate team building events. Visitors can purchase wine, accessories, and apparel from the Leoness gift shop, and the onsite restaurant is open for lunch and dinner every Friday, Saturday, and Sunday. 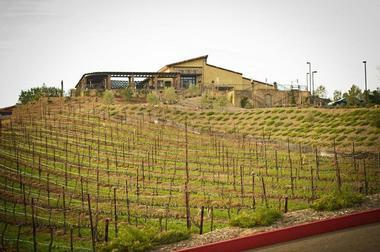 The Ponte family, whose members have been growing grapes in the Temecula valley since 1984, owns the gorgeous Ponte Winery. Guests can wander through the manicured gardens, taste a variety of wines in the tasting room, or book one of several winery tours. There are three award-winning restaurants onsite: The Restaurant at Ponte for casual dining, the Bouquet Restaurant for gourmet Italian meals, and the Cellar Lounge, which is the only full-service cocktail lounge in the area. The winery also has as well as a four-diamond luxury hotel onsite, as well as facilities for weddings and private events. The Wiens Family Cellars were established in 2001 and have since become known for their "Big Reds." The main tasting room is open daily to provide samples of the winery's red, white, and dessert wines, and red wine enthusiasts can head down to the working cellar production room for an exclusive tasting of limited production and reserve wines. There is a deli onsite, and guests are permitted to bring their own food and enjoy a picnic on the beautiful grounds. As part of the Pechanga Resort and Casino, the Pechanga Theater is one of the premier performance venues in Southern California. It regularly hosts a wide variety of concerts, Broadway theatrical performances, stand up comedy shows, and musicals. 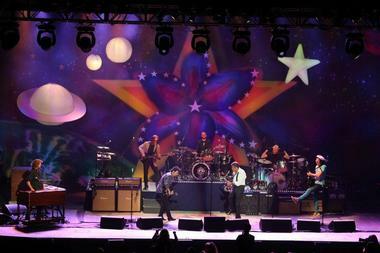 The venue has 1200 permanent seats, as well as first class sound and lighting systems. Patrons can purchase refreshments, including alcoholic beverages, in the foyer prior to shows as well as during intermissions. Some events may contain adult content; all ages are welcome unless otherwise noted, but children 17 and under must always be accompanied by an adult. The family owned and operated Vindemia Estate Winery offers guests a serene, intimate experience with a spectacular view. The owners are passionate about sustainable farming and grow their own grapes as well as 100 olive trees that they harvest and press to get fresh oil that's available at select times of the year. As Vindemia is a boutique winery, their wines are only available for public purchase at the winery itself. Guests are welcome to sample wines in the outdoor tasting room and are encouraged to bring their own food to enjoy an al fresco meal in the estate's rose garden. Grapeline Wine Tours offers a wide variety of different tours to suit all budgets, tastes, and group sizes, and they will also help arrange big events like corporate team building outings, holiday celebrations, and awards banquets. Some tours include light snacks while others feature a picnic lunch, and they all boast wine tastings at several wineries. The company is happy to personalize private tours to include specific wineries or special events like live music, and when food is offered there are a variety of menu options. Grapeline offers scheduled pickups only, so tours must be booked in advance. Destination Temecula Wine Tours and Experiences, established in 1993, provide services for groups ranging from 1 member to 500 members. Available options include narrated wine tasting tours, private limousine tours, and magical sunset dinners at a winery reserved just for you. Temecula Jeep & Wine Tours offer guided, open-air jeep tours with a bit of safe off-road driving for those who are interested in experiencing the Temecula valley up close. Free pickup is available for guests staying at any Temecula hotels, and tour costs include all wine tasting fees as well as a picnic lunch or some snacks. The jeeps hold up to 6 passengers, and smaller groups have the choice of either joining another group or booking a private tour. 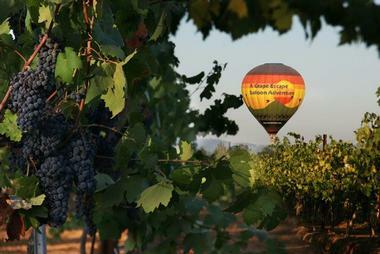 Special packages, including both a hot air balloon tour and a jeep wine tour, can also be booked through the company. 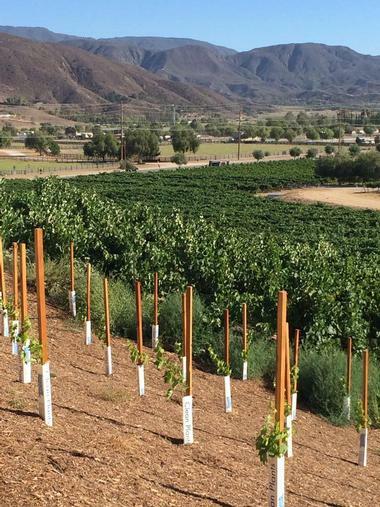 Located on a 35-acre estate on the De Portola Wine Trail, the vineyards of Danza del Sol winery were first planted in 1972. The winery prides itself on producing quality, affordable wines in a Mediterranean style, and their products can only be purchased online or from the winery itself. There is no restaurant onsite, but guests are encouraged to bring their own food to have a picnic on the patio. Catering services are available for weddings and private events. Live music is regularly offered on the patio, and both group and private tours and tastings are available if booked in advance. 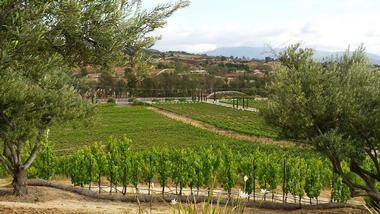 Miramonte Winery is a progressive, artisan winery perched on a hill with gorgeous, panoramic views of the Temecula valley. They specialize in Rhone-based varietal wines and are constantly experimenting with other grape varieties as well. The winery has a lively events calendar featuring plenty of live music, after hours wine tastings, and some special events for wine club members. Outside food is prohibited, with the exception of birthday cake, but guests are welcome to enjoy a meal at the Flower Hill Bistro. A number of tours are available, some of which include food pairings, and they all must be reserved in advance. Doffo Winery is a small family owned and operated business focused on making small batches of high quality wines. They cultivate and harvest their own grapes and even play classical music in the vineyards to soothe the fruit as it grows. One of the owners has a passion for vintage motorcycles, and many find that the vintage motorcycle collection displayed on the property is one of the highlights of their visit. Guests can drop by the tasting room to sample the winery's hand-crafted wines or hop aboard the eco-friendly tour bus for an exclusive tour of the property. 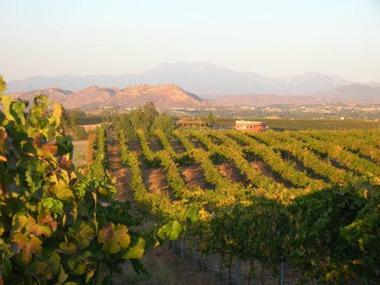 Mount Palomar winery was founded in 1969, and it is situated in the heart of the Temecula valley on a 315-acre estate that includes 55 acres of vineyards. Visitors are welcome to drop by the tasting room any day of the week, and there is a bistro/bar onsite open every day for lunch as well as for dinner on weekend evenings. The winery also hosts a number of events throughout the year, including occasional Murder Mystery dinner nights and a Grape Stomping Competition at the end of every summer to celebrate their harvest season. Pennypickle's Workshop is made up of a number of interactive exhibits designed to teach children about science and the world around them through play. 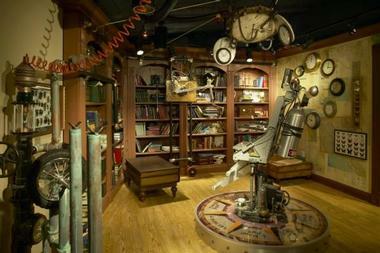 The workshop is the home of fictional character Professor Phineas T.
Pennypickle and his sidekick Beaker the field mouse, and children can explore the house to find incredible inventions like a time machine in the library, a peanut butter and jelly sandwich making machine in the kitchen, and a unique instrument called a "Philharmonica-matic" in the music room. On Friday nights, the professor hosts guided science tours that explore topics like rockets, nautical science, and music. 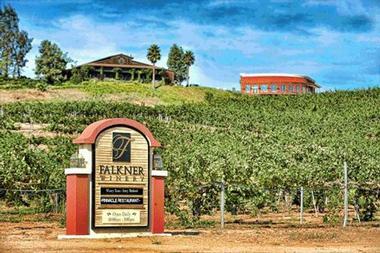 Founded in 2002, Falkner Winery is located on a low-lying hill with a stunning view of the entire Temecula Valley. Wine tastings are offered onsite every day, and the winery regularly hosts events like wine appreciation classes and free jazz concerts. Falkner is also a popular venue for weddings and is home to the award-winning Pinnacle Restaurant, which serves Mediterranean/American cuisine and is open daily for lunch. Unique gifts and art pieces are available for purchase at the onsite gift shop. A number of tours are offered but are available only by appointment, and they must be booked in advance. 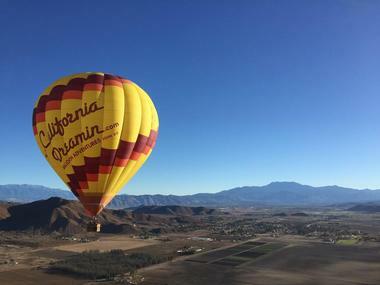 California Dreamin' offers sunrise balloon tours over the acres of vineyards, olive trees, and citrus groves that make up the Temecula valley. Tours begin and end at the Vindemia winery, and special packages are available for birthdays, anniversaries, and other special occasions. The balloons hold between six and fourteen people, but you can choose to book a private tour for two people if you wish. Flights last between fifty minutes and an hour depending on the winds, and a complimentary European-style breakfast is served in a private rose garden at Vindemia after the flight is over. With A Grape Escape Balloon Adventure, visitors to Temecula can get a stunning bird's eye view of the entire valley at sunrise. The pilot will act as a tour guide during the hour-long flight, pointing out areas of interest and answering any questions. 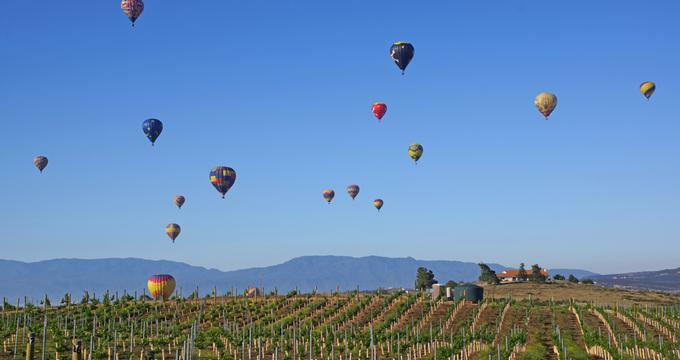 Once the balloon lands, guests are served a picnic-style continental breakfast with champagne and orange juice at the Europa Village winery. Romantic flights for two people are offered, and the company provides a complimentary banner and a small cake for special events like anniversaries and birthdays. 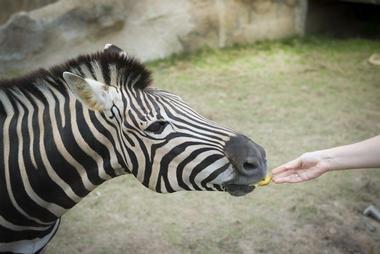 Tours are offered seven days a week, and reservations are required. Sculptor Ricardo Breceda began creating metal animal sculptures because of his daughter's love of dinosaurs, and his skill and passion quickly made him a well-known artist. Together with his team, he transforms sheet metal into life-sized animal sculptures available to view or purchase in his Temecula gallery. 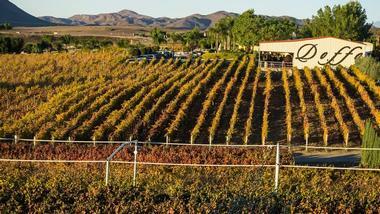 Cougar Vineyard and Winery, located on the De Portola Wine Trail, is a family-owned and family-farmed estate. The owners first began making wine in Texas in the 1990s, and they eventually moved to Temecula in order to start growing their own grapes. 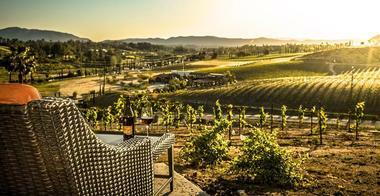 Guests can visit the tasting room seven days a week, but groups of six or more people require a reservation. 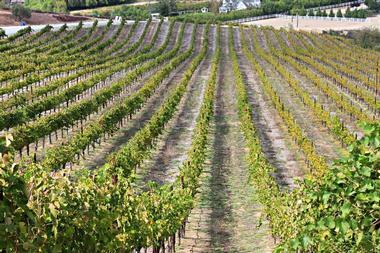 All of the wines are produced at the winery, and they specialize in creating 100% Estate Italian varietals. The onsite deli is open seven days a week, and it hosts live music events every Friday evening. Europa Village is a winery and inn conveniently located at the entrance to Temecula Wine Country, and it provides visitors with stunning panoramic views of the valley thanks to its hilltop location. Guests can choose from several different wine tasting packages and enjoy their selections in the outdoor European-style courtyard. 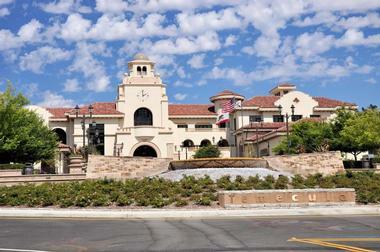 Since opening in the late 1990s, the Promenade Mall has become the biggest shopping center in the Temecula valley. The mall is located just off Interstate 15 and has an indoor-outdoor layout that includes two parking towers. In addition to shopping at the wide variety of specialty shops and chain stores, visitors can take in a show at the movie theater complex or enjoy a meal at one of the many restaurants in the food court. The mall is open seven days a week and is home to an open-air farmers' market every Wednesday morning year-round. 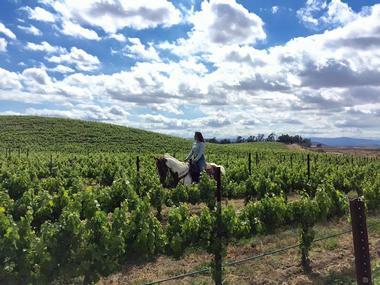 Located at Wilson Creek Winery, Wine Country Trails by Horseback offers visitors the chance to experience the Temecula valley from the back of one of their well-trained horses. The business owner and operator Diana Lefort is passionate about rehabilitating abused horses, and she uses all proceeds from her business to provide the horses with food, shelter, and medical care. Several options are available, including a sunset tour and special packages for couples. Tours are led by knowledgeable guides with plenty of equine experience, and they can often accommodate large groups if the tour is booked in advance.